We have a vast wealth of knowledge developing for the Android platform. Android has grown to be the most used mobile operating system in the world, and its popularity continues to grow with new, cutting-edge devices supporting the platform. We love developing for Android, and exploring the huge potential the platform has to offer. We can deliver high-quality Android App Development for companies all over the country. With our bases in Leicester and London, we can serve the whole of the UK and we have satisfied clients in Birmingham, Manchester, Leeds, Nottingham and even further afield. Android apps suit internal business use due to there being a huge amount of affordable, almost disposable devices that don’t hit the bank as hard when they are lost or damaged in the field. The Android operating system is an open-source development allowing it to offer tons of features not yet present on iOS. 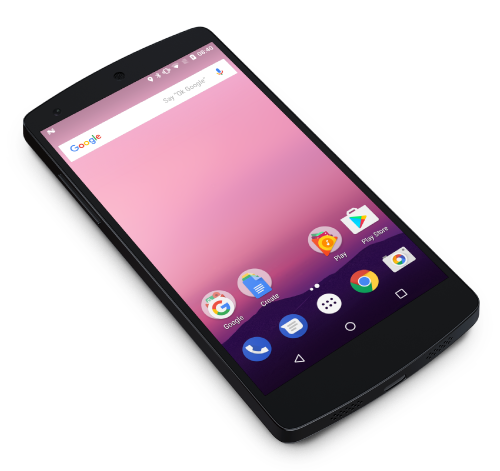 Android can be a lot less restrictive allowing us to make the most of the devices we develop for. A few examples include the use of NFC technology and the connectivity of custom made USB peripherals without the need for Apple’s lengthy review process. As well as being a wise business entry point, the Google Play Store is a huge potential market for your business or start-up enterprise. By moving into mobile apps, your business has the chance to increase customer engagement and retention as well as gain new customers through convenience alone. All of our development is in-house and we never outsource. This means we have android developers working full-time to create beautiful, functional apps to help drive businesses forward. Our team is dedicated to working with you throughout the whole process to ensure you’re happy with the end result. We protect all ideas with an NDA to give you peace of mind. If you think android application development can help your business work more efficiently we’ll be happy to provide a no obligation quotation. Contact us using the form below. We do, of course also offer iOS app development services if this is an area you wish to explore. If you aren’t sure how to start we’re always glad to speak to people and help to craft an idea from the outset. The app was created to make taking a tour of Prestonpans Battlefield more engaging and easier to navigate. This application provides an interactive walking tour for all visitors to the Prestonpans Battlefield.